Caravans open up a world of new experiences, friendships and places to visit, and chances are that once you purchase one it will no doubt get lots of use, so it’s important that you know how to look after your caravan and keep it in good working order so that you can avoid a malfunction, spoiling that holiday or trip away you were so desperately looking forward to. 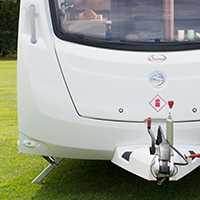 This guide will examine two key areas of looking after your caravan. How best to keep it clean and how to prepare it for the caravanning season. Whether you are a sharing a caravan with other friends or family and want to make sure your caravan is left nice and tidy for their arrival, or your caravan is just in need of a good tidy, these tips should help you on your way to making your caravan look great. The outside of a caravan can attract a lot of dirt and muck and with most caravans being coloured white; black marks, stains and moss can become very noticeable and should be targeted as soon as possible. Treat caravan cleaning in the same way you would your car; you will need buckets of water and a cleaning mitt to get started. The reason that cleaning mitts are preferable to sponges is that sponges can sometimes retain sharp pieces of grit which might scratch and damage surfaces. For most stains and marks you should be able to use a standard car shampoo but for the tougher ones you might want to use a specialist cleaning product which you can find at most caravan supply shops. Remember to always check that the products you are using are safe for your caravan. You will need to begin with the top of the caravan and then do the main body. If you do this the opposite way round then dirt could run down onto your newly cleaned sides and undo all your hard work, so begin at the top and work your way down. As the roof will likely be out of your normal reach, you will likely need a step ladder and a brush with a long handle. The tops of caravans can attract algae and moss, bird mess and scuffs from low hanging foliage, so it’s important to give your roof a quick clean whenever you have the time. It can be tempting to use pressure washers for those hard to reach areas, however pressure washers can be extremely powerful and can cause damage to numerous parts of the caravan, for example the window seals which can sometimes be delicate. Windows can be cleaned in a similar way with warm water and sponge or mitt and then given a wipe with a micro-fibre cloth to remove any remaining marks. Most caravan windows are made from acrylic plastic and you should use an acrylic polish or cream-based polish to keep them clean. When it comes to cleaning wheels, there are a number of different products which you can use to remove grime and dirt which has accumulated while travelling on the road. It’s important to give your wheel arches a thorough clean in the spring and to clean regularly in the winter when the weather worsens. As a side note, you should check the air pressure of your tyres at least once a week. Constant use can take its toll on even the most luxurious of caravans and if you leave it too long then you could have a mammoth job on your hands. Here are a few tips on where to focus your attention. 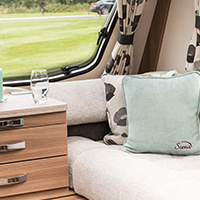 Most caravans use foam coverings on upholstery in order to meet fire safety standards, however one drawback from this is that it can draw in moisture and foster damp. So it is important to give cushions a good airing whenever possible, especially during times of the year that your caravan remains unused. Grantham Caravans offer a deep clean service for mattresses and upholstery, for more information read our article, Managing damp and mould in your caravan. Many caravans will have curtains and will be quite easy to keep clean; a gentle run around with a hoover should usually do the trick unless there are stains, in which case they may need to be dry-cleaned. For blinds, a simple wipe with a cloth will remove any dust and dirt that has accumulated. When it comes to keeping carpets clean, many people will opt for plastic carpet runners which are available from most DIY stores which can safeguard carpets against muddy feet. Other aspects of keeping the interior of a caravan clean are very much similar to the kind of jobs you would do at home, such as cleaning bed linen, emptying bins, cleaning out cupboards and cleaning bathroom mirrors, sinks and toilets, etc and don’t require different treatment in a caravan. If you want to be confident that your caravan is ready for the road then you should have it serviced at least once a year. Servicing can help to identify any areas of your caravan that need attention and might have been damaged through the year. As a caravan is both a living space and a vehicle there is twice as much up-keep to do. Key areas that should be looked at are surface damage, evidence of damp or mould growth which, if left without attention can cause serious damage. A thorough service will also identify any problems with electrics, gas, water or mechanical elements of your caravan which you may be unable to spot and fix by yourself. Visit our caravan servicing and repair page for further information. As the winter months bring colder weather across, many caravan owners will choose not to use their caravans. However, leaving a caravan unused, as with any vehicle, for a long period of time can be hazardous to its health, so there are certain measures that you should take to ensure no damage is done. Interior cushions and upholstery should be removed and stored in dry conditions wherever possible, as the moisture of the cold weather can promote mould growth. Pests can become a nuisance in caravans, especially if they have a food source. Empty out any food from your cupboards, fridge and freezer to stop this from happening and clean worktops and floor surfaces thoroughly. To be extra safe you can cover over means of entry like air vents with mesh temporarily. The supply of water to your caravan needs to be shut in winter. First of all you need to turn off the water mains then let water run out from your drainage plugs, flushing the toilet to empty the cistern and testing taps to make sure no water is left behind. Although the water should be disconnected, you should keep the caravans boiler operating to stop it from seizing due to the cold. It can also be a good idea to leave radiators on the frost setting to prevent pipes from freezing. Periodically through any length of time you should check to make sure that the handbrake is still functional as they can sometimes seize up if not used. When the new season comes around you want your caravan to be ready, after it has been serviced there are a few things that you can do to make sure you are prepared for your first trip away. First of all, you will want to give your caravan a thorough clean removing any dust and grime that has built up over the winter months. Caravans can be a perfect shelter for spiders and other bugs! Aside from these types of provisions you will also need your caravan stocked with personal supplies like cutlery and wash products. 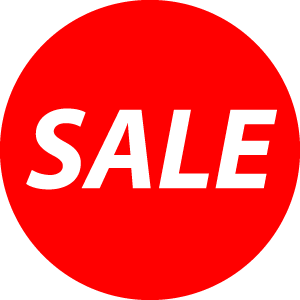 Visit our online caravan accessory shop: Gear4Caravans. Click here to find out more about Grantham Caravans 58 point service checks which come with comprehensive damp reports and new hub nuts as standard, or call us on 01476 560599.